Kastel Denmark is a well known and fashionable clothing company for equestrians of all disciplines or anyone seeking comfortable and UV protective clothing. This brand features colorful and comfy shirts, hats, athletic pants and more. One of Kastel Denmark’s most popular product is their UV sun shirts. I own a couple of sun shirts, and they are great fitting and keep you cool in the warmer months. They are extremely comfortable, soft and made from a very high quality fabric. They make great every day shirts as well. The shirts are made for both men and women and are very affordable compared to competitors. The quarter zip shirts have two different colors, the body color and trim color. There are also many different color combinations available. The shirts are simple, yet stylish. 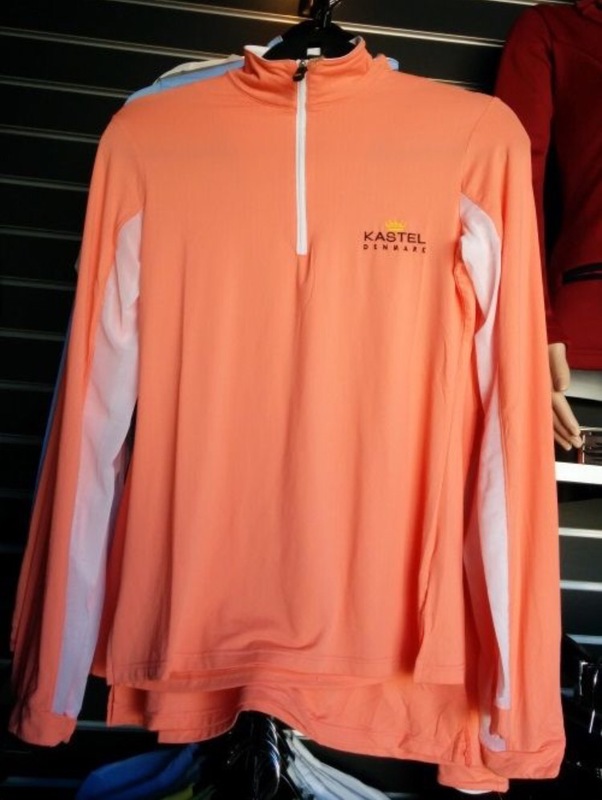 Kastel Denmark products are very vibrant and beautiful with the color combinations chose the quarter zips are my favorite shirts to wear riding in the summer. For the winter, I like to ride in the Kastel Demark jackets, which are great for layering to keep warm. They have an article of clothing for every season in temperature. In conclusion, Kastel Denmark is a great and affordable brand offering stylish and protective clothing to everyone. Their clothing and accessories are exactly what every equestrian needs!